Although the work involved in the renovation or construction is a tough task in and of itself, finding a dependable home contractor can be equally tough if not tougher. There are numerous contractors available on the market, which is why it can be difficult to determine which one is reliable and competent. Putting tiles in the bathroom, knocking a wall down, or installing cabinets in your kitchen might actually prove to be easier than finding a home contractor who is highly dependable and offers top quality service from the beginning to the end of the renovation or construction project. There is no shortage of stories of projects going awry due to the incompetence of incompetent contractors. You should try to stay as far away from this pitfall as you can. 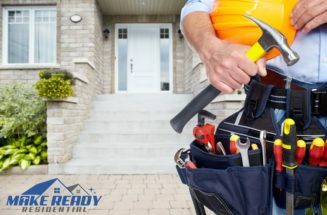 This is why we have provided you with 14 crucial tips that will be extremely helpful for you in locating a dependable home contractor. A good way to find reliable home contractors is to ask your family members or friends for references. Referred home contractors usually turn out to be good due to their past experience with your acquaintances. Interviewing home contractors before you get them on board is crucial. You should make sure that you interview more than one contractor. This will help you determine their qualities, skills, and honesty. Contractors who are too busy to start a project immediately are usually the ones who are worth their salt. Be flexible when you get in touch with these contractors as they usually get the job done the way you want it. Always ask the contractors about the work that his employees will be doing. You should also ask about the job of the subcontractor. You would do yourself a huge favor by checking the litigation history, complaints and license of the contractor that you are about to hire. Cross checking the list of references of the contractor is another thing that will save you from trouble. You should ask current and former clients about their history and experience with the contractor. Reading reviews about the contractor online will also be helpful in determining the value of the home contractor. You should make sure that you get the proper permits before the construction or renovation. Violating local ordinances will get you in great trouble and will hinder the progress of your project. Including a payment schedule in your contract will be a wise idea as it will make sure that you do not pay a heavy amount upfront. There are always surprise additions to the cost that are not easy to avoid, which is why it is extremely important that you do not mention the entire budget for the renovation in the contract. You might need to spend ten to twenty percent more than you initially expected. Negotiating the ground rules initially will make sure that there are no ambiguities between you and the home contractor. Finally, no matter how dependable your contractor is, it is extremely important that you keep in touch with him and ask for updates about the renovation or construction.